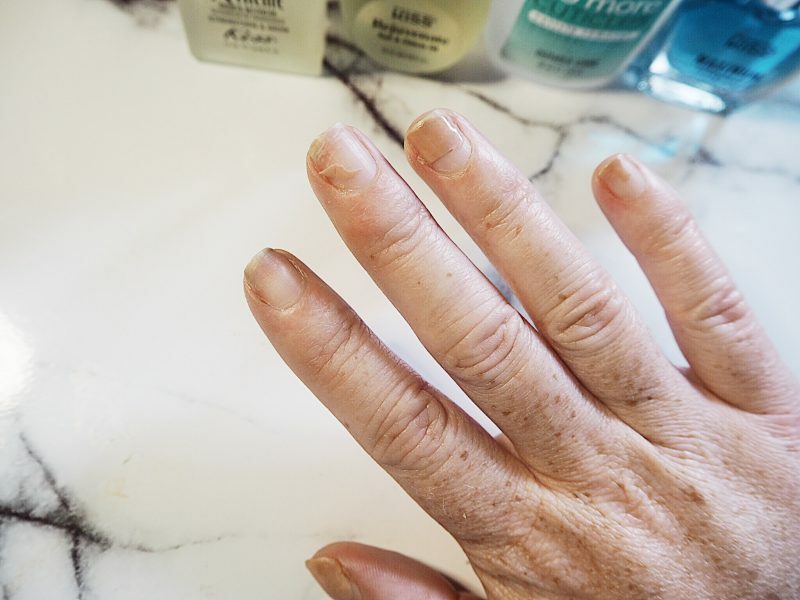 A DIY Manicure might seem intimidating but with the right products it can be easily done. I love going to a salon and having my nails professionally done. 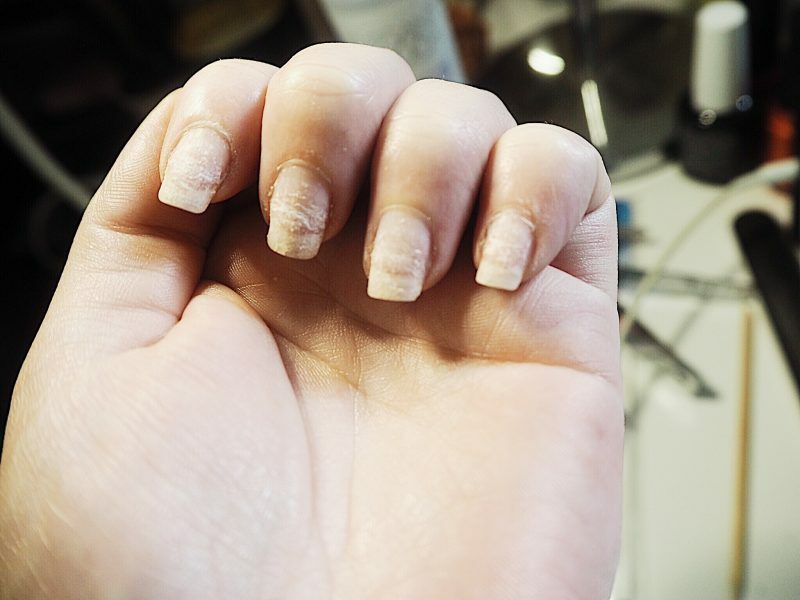 Constantly having acrylic nails or Shellac has taken its toll. My nails are weak and damaged looking. After I had my last set of Acrylic removed, I immediately put Shellac on top to try and hide the damage. In reality it made them worse! 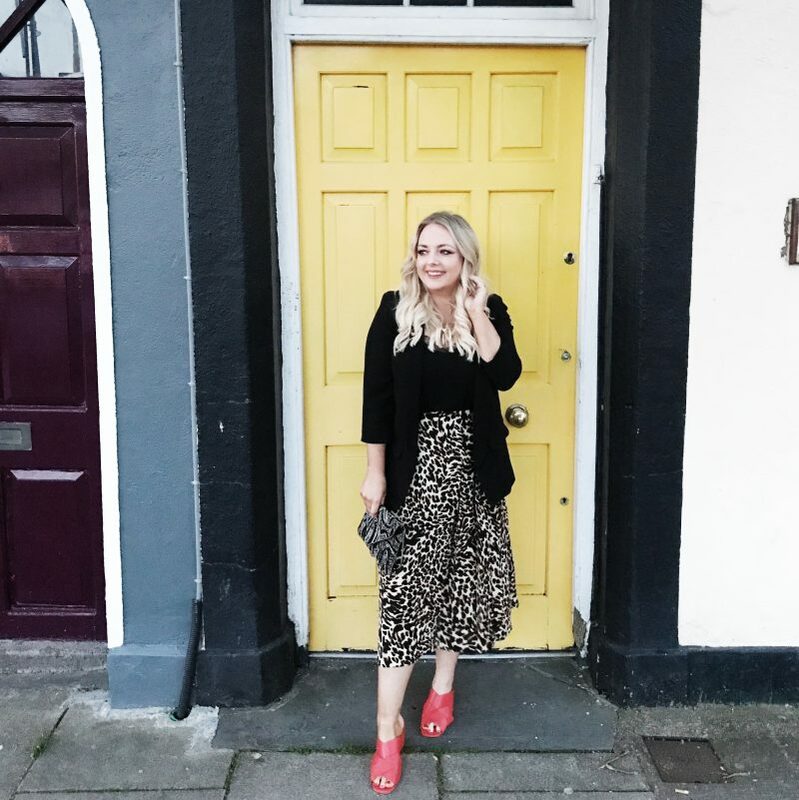 With the school holidays in full swing, my time is limited. With no time this week to visit the salon, I decided my only option was a DIY Manicure! 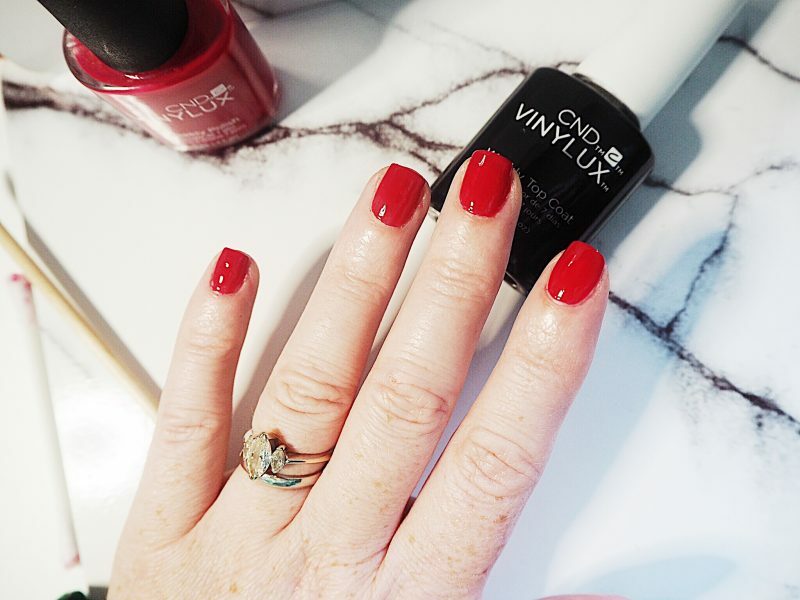 I used a few products from Kiss and finished with some Vinylux by CND to get that professional look without the price tag. Here are the before photo’s of my damaged finger tips! Soak the cotton wool pads in polish remover and place over nail. 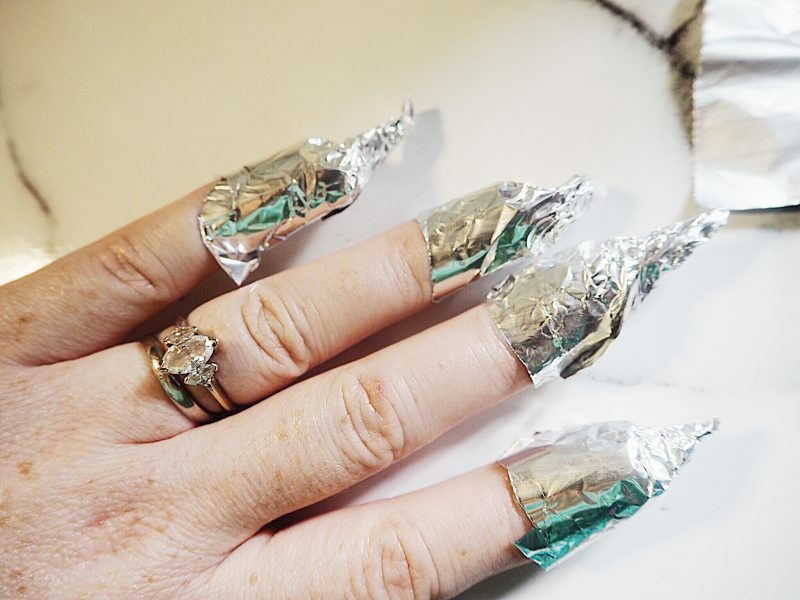 Wrap the tin foil around the nail to secure and leave for 10 minutes or until shellac starts to lift. Then gently scrape off with an orange stick. Simple!! 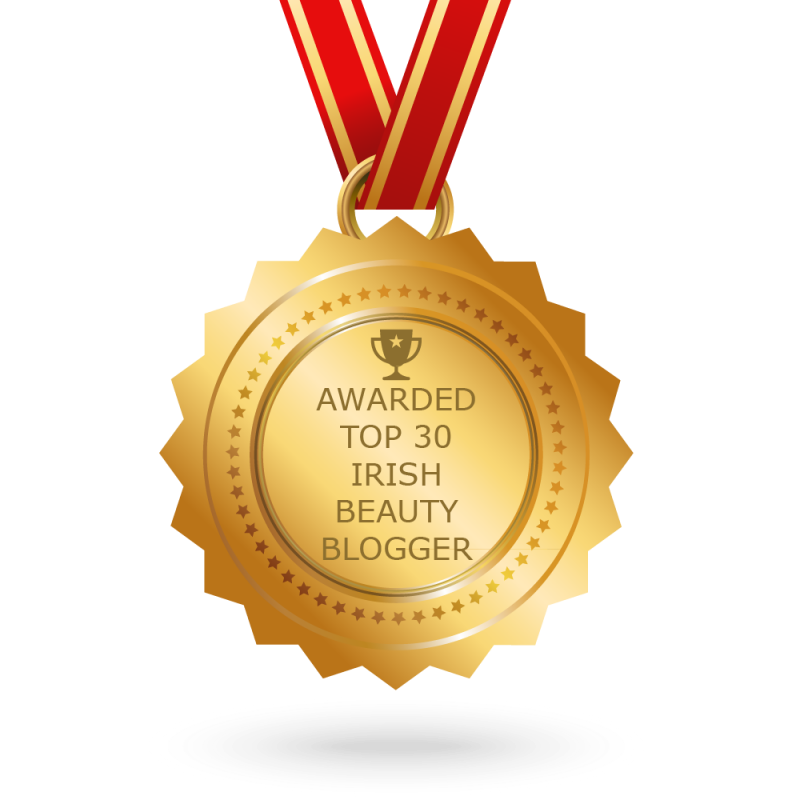 The nail polish remover I use is by Elegant Touch and you can buy it HERE for 2.46 euro. 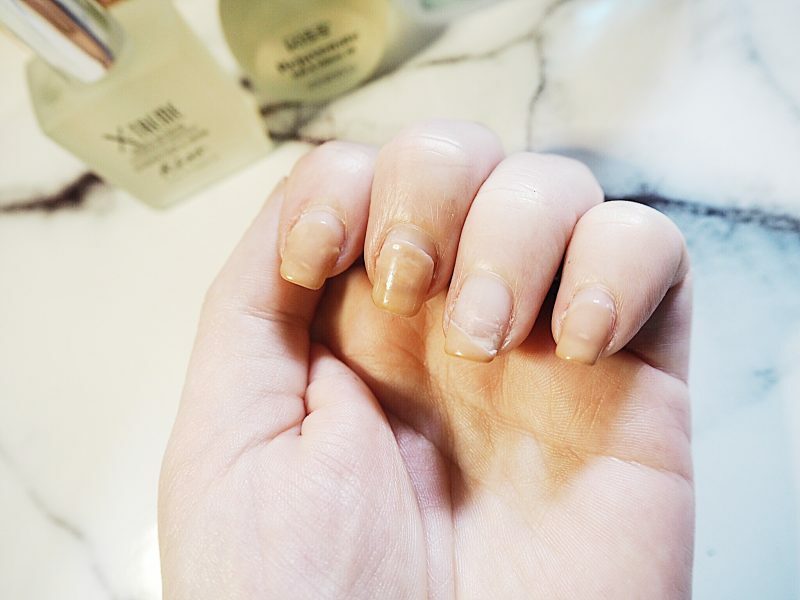 First trim and file your nails to your desire length and shape. Now is your chance to buff them if that is what you want. As my nails are already weak, I skipped this step. Now we must remove any over grown cuticles. 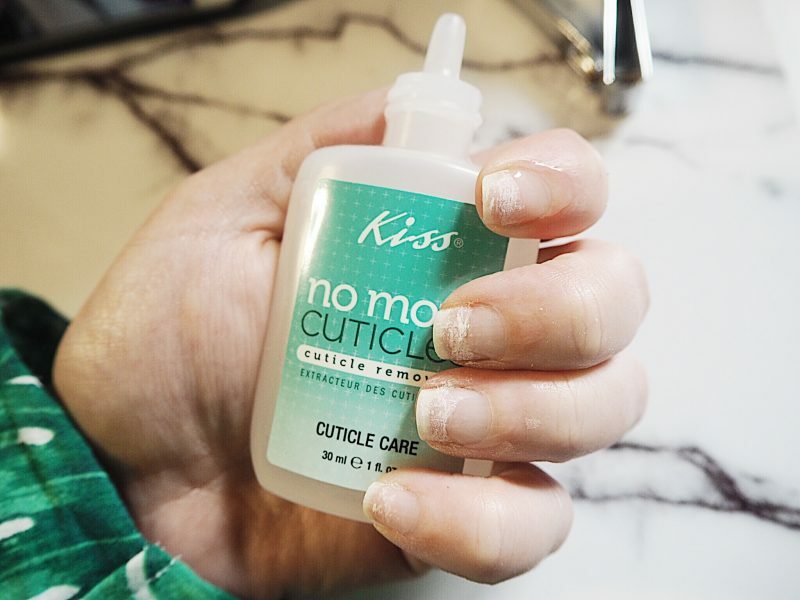 I applied this Cuticle Remover by Kiss to each nail and then pushed back my cuticles using an orange stick. This is an amazing remover. 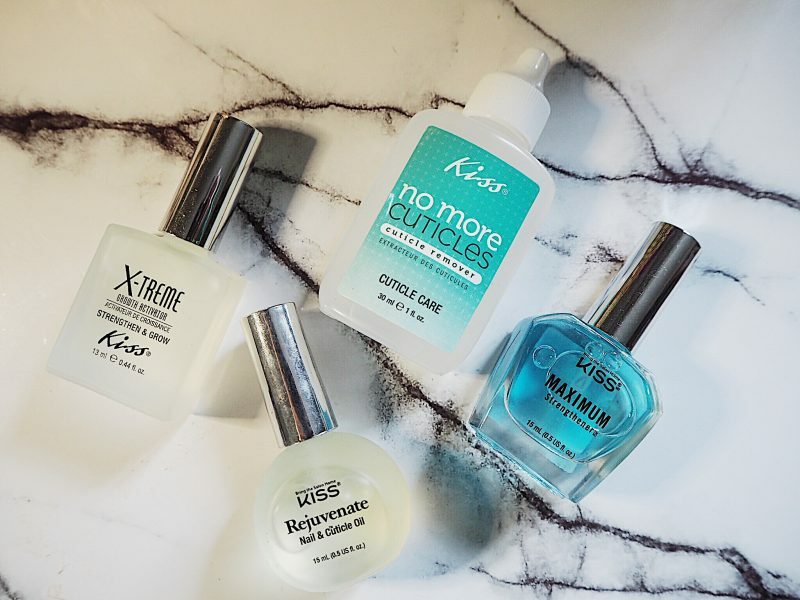 It works like a dream and makes your nails look instantly tidy. You can buy it for 4.99 euro HERE. Then you want to apply a product to help your nails grow. I really like this product from Kiss. You can buy it for 6.99 euro HERE. 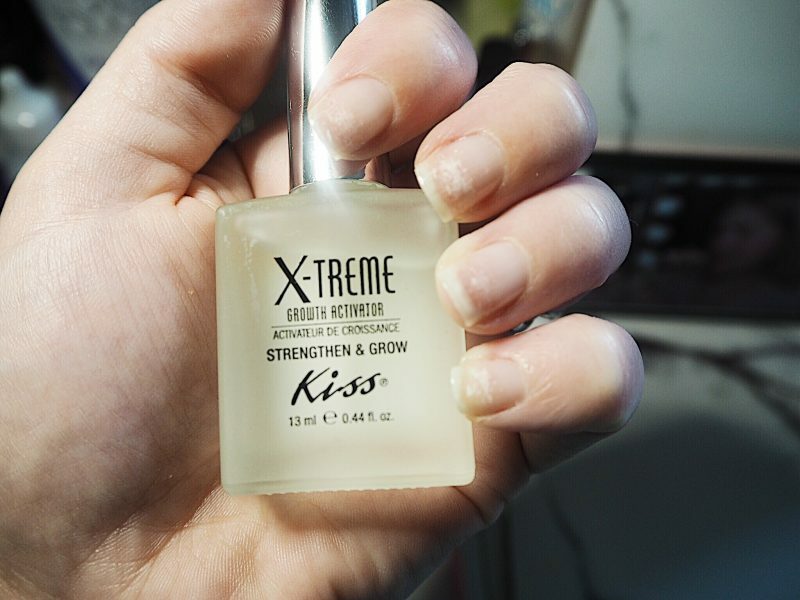 Next I applied a product to help strengthen my nails. 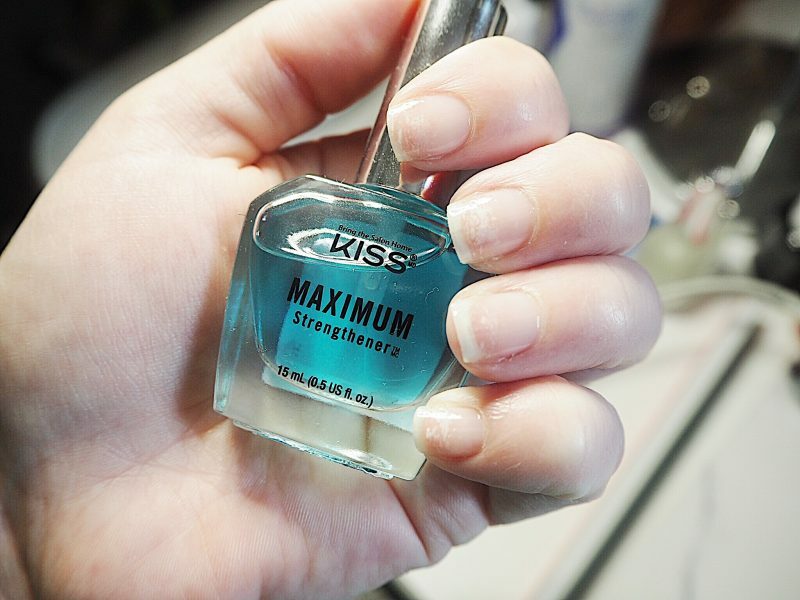 I find this Kiss Maximum Strengthener works really well. You can buy it for 5.99 HERE. 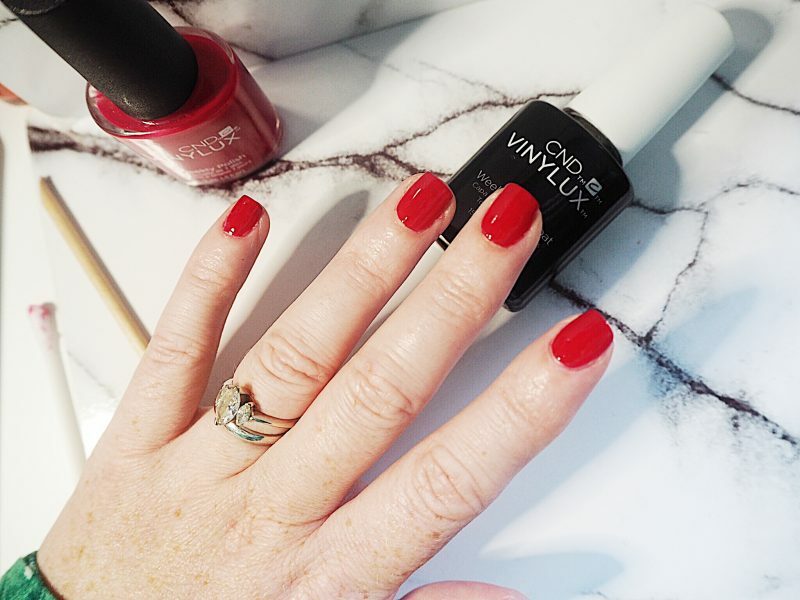 Once you have treated your nails it is time to apply some colour! 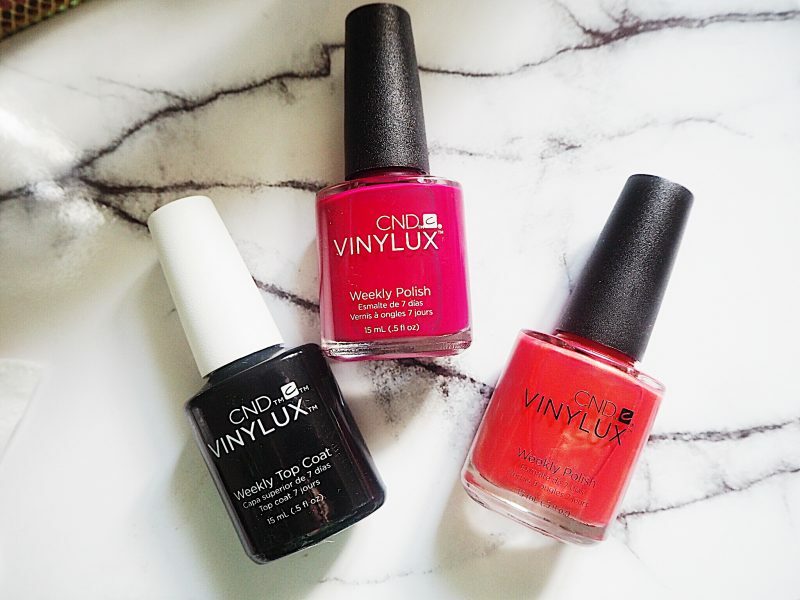 If you want the shellac look at home but without the commitment or time then vinylux is the way to go! All of your shellac shades are available to buy as an at home weekly polish. I adore this red shade. 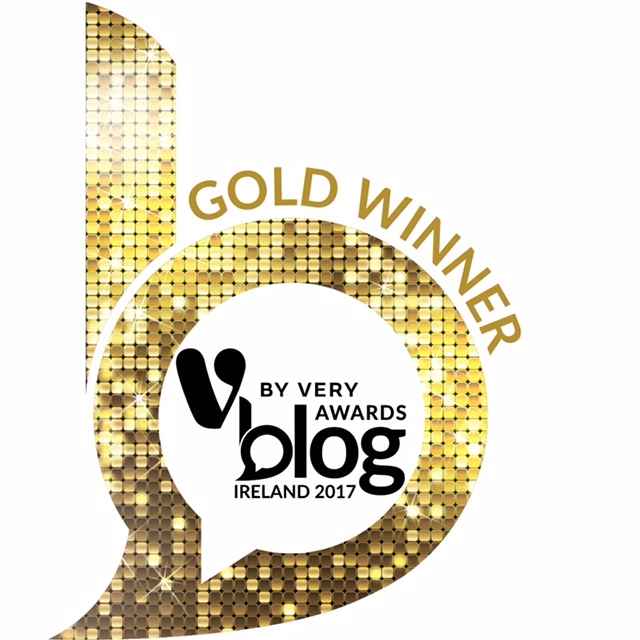 There is a great selection online for 12 euro each HERE. 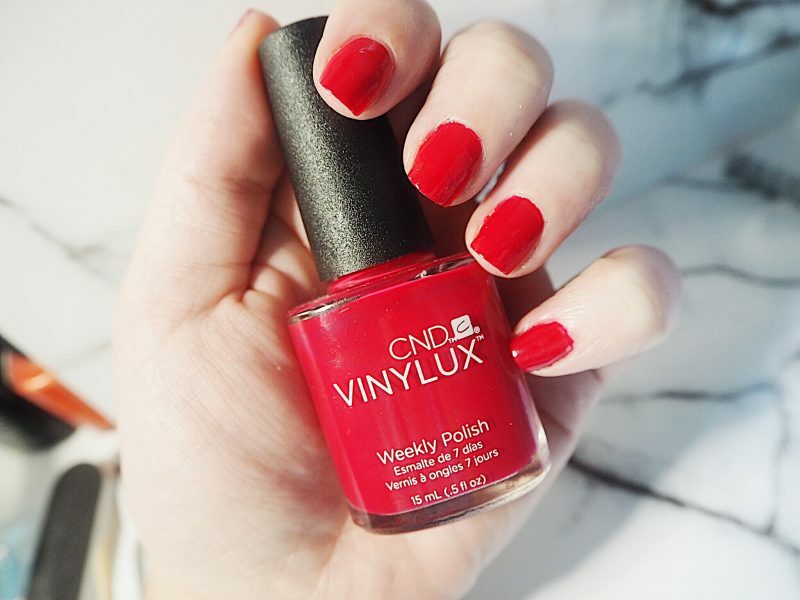 Finishing with the Vinylux top coat and you are done! This manicure should last you for seven days and take both the expense and the excess time out of visiting the salon! 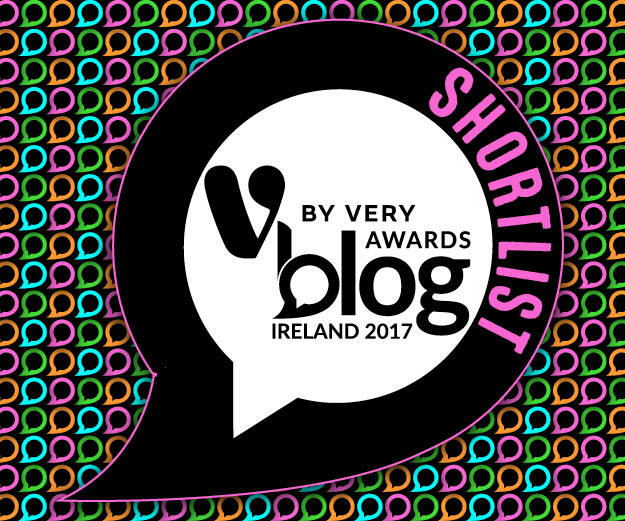 Let me know if you try any of the products here and what you think. I will post updates on Instagram or Snapchat (fitfashionmom) so be sure to follow me! 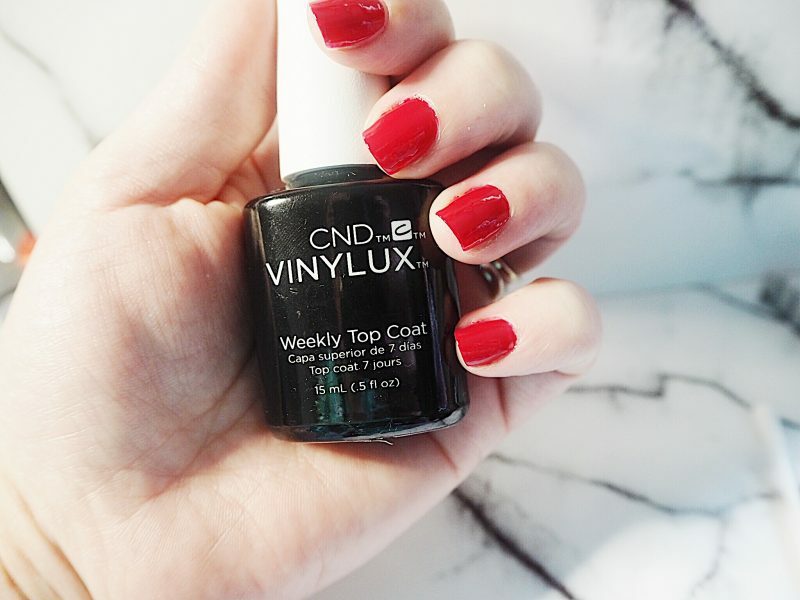 You can buy the Vinylux top coat for 12 euro from the same website HERE.